The Sounders have struck a deal with the Class AAA Rainiers baseball team to build a 5,000-seat stadium in Tacoma to house their United Soccer League affiliate. A Memorandum of Understanding between the clubs looks to build the stadium, designed by the Populous architectural firm, in time for the 2020 season. The new venue would be soccer-specific and house the Sounders 2 affiliate, which currently plays at the StarFire Sports Complex in Tukwila. 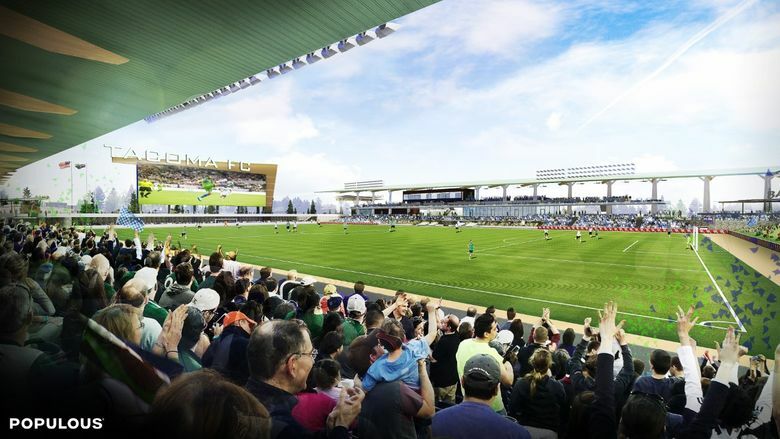 Hanauer said he thinks 2020 is a workable completion date for the venue if negotiations go well and that his team is taking the Rainiers’ “lead’’ on talks. The venue would be on city-owned land adjacent to Cheney Stadium, home of the Rainiers. The Rainiers would assume control of S2 business operations and rebrand the team under a Tacoma-specific name while the Sounders would continue to manage the soccer side as co-owner. Artman said there’s no word yet on full stadium cost or financing, though the involvement of city land means some type of “public-private partnership” will likely take place. S2 opened to strong attendance in 2015 but has struggled with brand identity in the shadow of its parent club. There’s a thought that moving the team to Tacoma — where there are no outdoor pro teams besides the Rainiers — could make them a better business brand while keeping them close enough to Seattle for player evaluations and call-ups. In fact, the USL team will continue to train alongside the Sounders in Tukwila even after a move is complete. The Rainiers just completed a two-year business arrangement in which it did marketing and branding for the Tacoma Stars indoor soccer team. “We think we have a pretty good handle on how to operate a soccer franchise in this market,’’ Artman said.